Next week The Buffalo Springfield rides again! 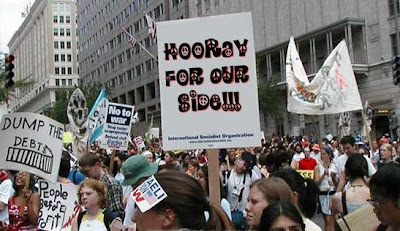 In the meantime -- as we eagerly anticipate the Buffalo Springfield Reunion Tour -- here's "Kind Woman" at the Bridge School Benefit on Sunday, Oct. 24, 2010.
Who will be carrying signs that say" "Hooray for our side?" 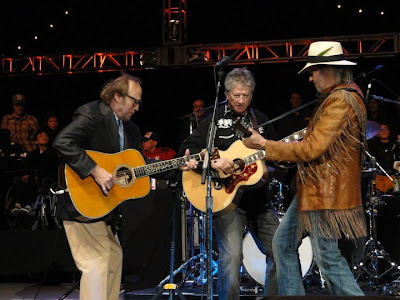 Also, see Neil Young News: The Triumphant Reunion of The Buffalo Springfield, Pearl Jam and Neil Young @ 2010 Bridge School Benefit Concerts. 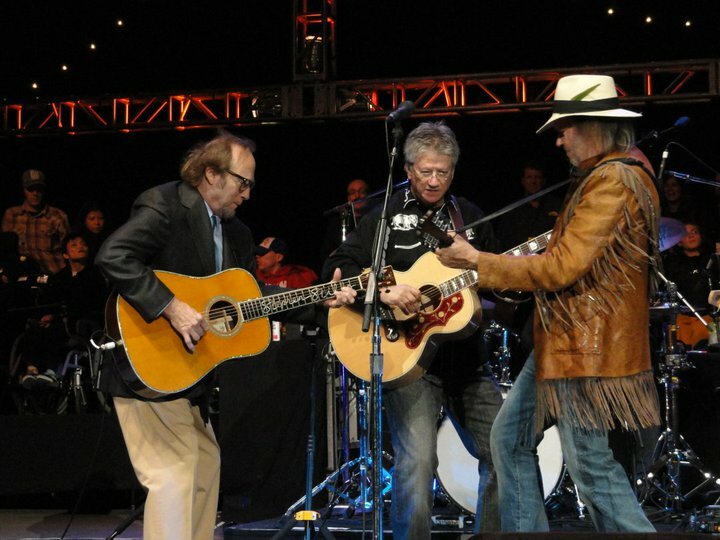 Also, see upcoming Buffalo Springfield Reunion Tour Dates.